A few years ago the sweet red phenomena was reaching what then appeared to be its apex. Distorted, imbalanced wines of substantial residual sugar - designed by focus groups and concocted in laboratories - were masquerading as "red wine". It's a few years (and vintages) later. So, did the pendulum swing back in favor of moderation? No. In fact, this virus has spread, and so our collective descent into gustatory delinquism continues. The 2013 vintage in California seems to signal a tipping point in this unfortunate race to the bottom. Consumers favoring dry red wines are no longer safe simply steering clear of the catch all "red wine" label (which, incidentally, is how fine Bordeaux used to be labeled.) No, no, no. Now wines ostensibly made from fighting varieties are being bastardized wholesale. 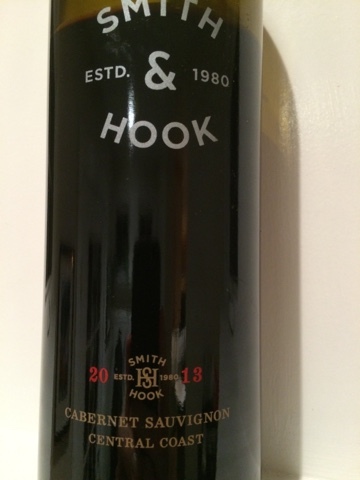 At a friend's celebratory dinner out last year, we were served a 2011 Smith & Hook Central Coast cabernet. The perfect restaurant wine, it had plenty of oak, vanilla, deep fruit, some structure, and - most importantly - a sub-$40 price. It was an uncomplicated, crowd pleasing wine that went well with the convivial vibe. Emblematic of the trend toward getting wine to cater to our national penchant for Twinkies, the 2013 Smith & Hook Central Coast cabernet ($20) is a catastrophe of a wine. Too overtly extracted and hot to be accidental, were it not for its density this would pass for a $5 wine in a blind tasting. Manipulated - poorly and with a clumsy fist - if this wine were a face, its features would all be exaggerated: bulging eyes, cleft chin, saggy cheeks, and a nose like Cyrano de Bergerac. Awful. Just awful. What's perhaps the most shameful aspect of this wine - and others like it - is that it is deceptive on many fronts. First, it's labeled as cabernet. If it is, in fact, cabernet, I cannot fathom what sort of hocus pocus they had to perform on it to extract such cough syrup-like qualities. Second, very few wines are tasted comparatively, so when a wine of this loudness is initially sipped, our mouths tend to interpret that level of attention-commanding stimulation positively - at least until our bodies register the impending ill effects. And by then, it's probably too late. Which leads to the final deception - wines with this much alcohol (labeled at 14.8%), residual sugar, and (probably) additives deplete your body of critical elements you need to make it through to morning without throbbing buyer's remorse.